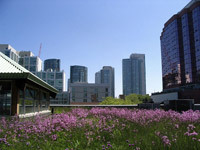 The beautiful neighborhood of Battery Park City is home to the Liberty Luxe rental apartment building at 200 North End Avenue. The effortless residential luxury is not the only claim to fame for Liberty Luxe—a LEED Gold certification makes this building one of the greenest in New York City. Located in Queen's Long Island City, this 647-foot luxury tower will be the tallest residential building outside of Manhattan. Developer Heatherwood Communities teamed up with Goldstein, Hill & West to develop Tower 28, which will have 451 studio through three-bedroom units and one additional four-bedroom apartment. Experience the best of Manhattan luxury in the heart of Midtown with The Eugene. This exclusive building is located in a prime location for New Yorkers looking to avoid the Midtown commute while staying close to the best bars, restaurants, and attractions, like the High Line. Midtown West in the middle of a renaissance, and you can be a part of it in The Eugene. Located in the heart of the cultural hub of NYC is One Sixty Madison. This NoMad building has a unique design that allows each of the residencies to get a lot of natural light and open space. Each apartment boasts floor-to-ceiling windows, black-out shades, and it's own Bosch washer and dryer. Make your home in one of the most exciting new buildings in Manhattan at Solari, a gorgeous structure located at the epicenter of NYC's greatest attractions. Developed by The Torkian Group and designed by Stephen Jacobs with interiors by Andi Pepper Interior design, this building truly has everything a modern New Yorker could ask for. The homes inside feature soaring high ceilings that offer incredible Manhattan views, Spanish hardwood floors, kitchens with stainless steel appliances, Italian Stevali cabinetry with soft-close technology, and Caesarstone countertops, and much more. The city is constantly changing, advancing, and growing. Different parts have been completely renovated with modern developments and glassy exteriors, while others remain the same, keeping its history and classic architecture. Finding the perfect New York Luxury Rental Apartment can be tough... The Luxury Rentals Manhattan Broker Network Makes It Easier. There are a lot of apartments for rent in New York City, but only one New York rental apartment that's right for you. The Luxury Rentals Manhattan Broker Network is dedicated to helping you find your New York apartment. If you would like to tap into the wealth of experience and knowledge in The Luxury Rentals Manhattan Broker Network – or just want help answering some questions about New York apartment rentals -- simply fill out the form below and one of our preferred brokers will contact you within 24 hours. ...if you're a Manhattan broker who would like to join the Luxury Rentals Manhattan Broker Network, sign up and you will be screened by one of our specialists. If you have good help, renting the right apartment in Manhattan can be easy. If you don’t have the right help or choose to go it alone, finding the right apartment will definitely be a challenge. Choosing between apartment types, building types, and neighborhoods can be a daunting task for apartment renters in this city. And if you find a rental apartment you like, getting your name on a lease won’t be easy if other people are also vying for it. At Luxury Rentals Manhattan, navigating these challenges is what we do best. We help renters land their ideal Manhattan apartment by providing them with the right information, the right advice, and the right connections. For those looking to lease an apartment in Manhattan, the rental process always begins with the listings, which is why we’ve created an extensive database of rental apartments for you to search. We’ve selected only the apartments that meet our high standards for luxury living in Manhattan, so no matter if the building is a landmarked pre-war gem or a new high-rise that have just been completed, you can be sure that they all meet our standards for excellence. Our brokers have accumulated a ton of knowledge about the Manhattan real estate market, the borough’s many neighborhoods, and how to get you into the place you want, so when you’re ready to visit a potential apartment, they’ll be the ideal guide. Our longstanding relationships with NYC’s biggest developers will not only help you get into a place, those relationships will also help you do it as quickly and easily as possible. In short, if you want to rent an apartment in Manhattan, we have you covered. Even if you just want some advice in your rental apartment search, we’re here to help get you where you want to go. Our professionals know the ins and outs of every step of the rental search, and if you avail yourself of our services, you may soon be renting the ideal Manhattan apartment for you.